Science and Engineering, Electronics & Communication Engineering, Electrical Engineering, Physics, Chemistry, Humanities and Social Science, School of Management Studies Posts. MNNIT Released Job Openings Notification 2017 Eligible Candidates can Download Application Through Official website.Latest MNNIT Careers, Placement, Openings, Off Campus Vacancies, Interview dates are updated regularly. Eligible Candidates can follow Below Recruitment details. To get more Freshers Government Opening,Placement Paper and Graduate Vacancies Visit www.freshers-job.com. 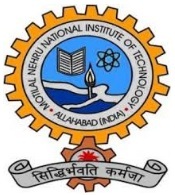 Motilal Nehru National Institute of Technology Allahabad, formerly Motilal Nehru Regional Engineering College, is a public higher education institute located in Allahabad. MNNIT hire both freshers and experienced candidates in every year. All job seekers who are interested to get a job in Central Government apply This MNNIT Job online. The Candidates from 2017,2016,2015 Batch who have completed 10th, 10+2, BE / BTech Graduate, Engineering Degree from any recognized Institute are Eligible this Recruitment 2017-18.Latest MNNIT Opening 2017 for Apprentices for Guest Faculty position.Eligible Candidates can attend interview at MNNIT on 04.07.2017 to 12.07.2017 For Below Recruitment.For a bright future and best salary in Central Government jobs apply this opening via www.freshers-job.com.More details about MNNIT Recruitment 2017 is given bellow. This is an excellent opportunity for those who are very much interested to join a career with Government Job with good working environment and best salary compensation. (i)For all Engineering Departments: First Class [60% Marks or GPA 6.5/10] Master’s degree in appropriate discipline of Engineering with first class [60% Marks or GPA 6.5/10] at Bachelor in Engineering stream (B.E./ B.Tech.). Preference will be given to PhD candidates. (ii) For Physics and Chemistry Department: Doctorate in Relevant Field with first class [60% Marks or (GPA 6.5 /10)] at both Bachelor’s and Master’s level. (iii) For Humanities & Social Science Department: Doctorate in English / Professional Communication / Linguistics with first class [60% Marks or GPA 6.5 /10] at both Bachelor’s and Master’s level. (iv) For School of Management Studies: Ph.D. (Marketing Management/ Human Resource Management/ Operation Management/ Systems Management/ Financial Management)/ Qualified Chartered Accountant/ICWA, with first class [60% Marks or 6.5 CPI on 10 Scale] at both Bachelor’s and Master’s level. As per the MNNIT recruitment notification 2017-18, candidates should have minimum education qualification of 12th, Bachelor, Graduate degree, Degree or equivalent from a recognized Institute are Eligible to apply MNNIT Recruitment 2017. Candidate should complete his / her 12th, Bachelor, Graduate degree in relevant subjects from a recognized University / Institute. Minimum 21 Years and Maximum 39 Years as on 01.01.2017. Accordingly the application must have been born not earlier than 01.01.1996 and not later than 02.01.1978, age relaxation details. Age relaxation is applicable as per Government of India rules applicable for different categories (SC/ST/OBC/PwD) visit TNAU official Notification 2017 for more reference. Check fee details in official notification of MNNIT for Guest Faculty academic qualification, application fee, selection procedure, exam pattern are present in official Notice. Selected and Eligible Candidates for this MNNIT Notification posts will get a Rs Stipend up to @ Rs. 5400 - 20200/- month to month pay scale as per Government norms with Rs. 1900/- amount of grand pay.